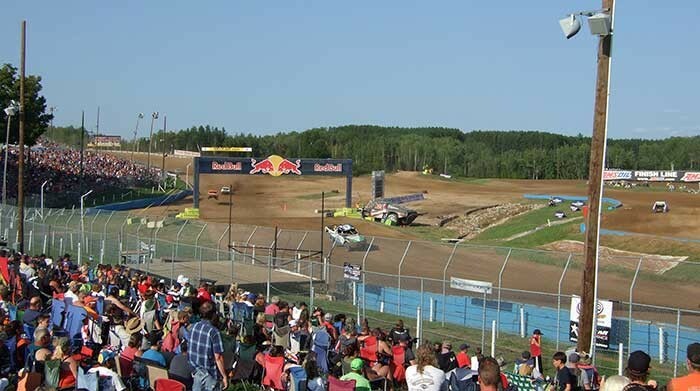 Located just west of Crandon, Wisconsin, USA, the Crandon International Off-Road Raceway is a short-course, off-road motor race track. 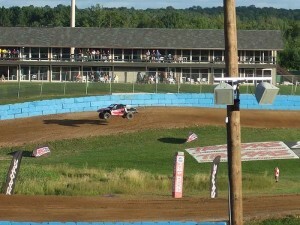 Crandon is home to the "World Championship Off-Road Races" and hosts a variety of motor races, R/C races, concerts and other entertainment throughout the summer season. 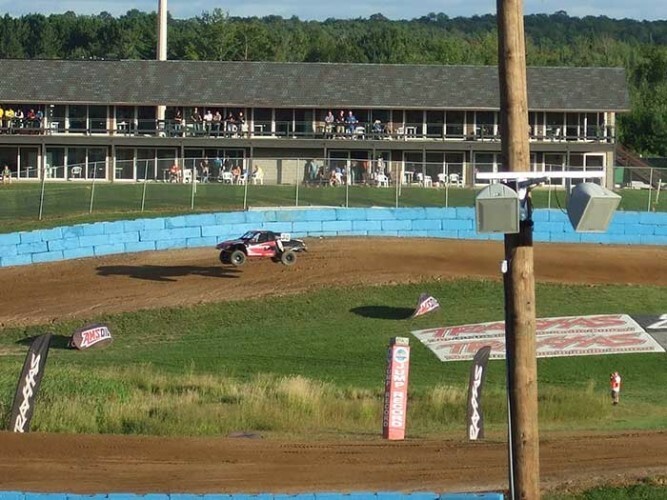 Crandon’s audio system, which consisted of traditional public address paging horns, had difficulty overcoming the track’s noise levels and it had deteriorated over the years from exposure to Wisconsin weather. The raceway contacted Kevin Mullins of Arrow AV Group in Appleton, Wisconsin for a quote on a new system. Mullins had provided live production for entertainment at the track and he had served as a flagger and spotter for motor races. He understood the challenges faced by the audio system and presented the venue with a design based on Community R-Series loudspeakers. "We’ve used lots of Community for outdoor events and installations and I knew they would do a great job for Crandon," said Mullins. The system consists of thirty R.5HPTs located at spectator points around the raceway, at the bleachers and at the pit building. Four R.25-94TZ loudspeakers supplement the sound outside the concessions barn and four Community Distributed Design Series DS5 surface-mount loudspeakers are installed inside the barn. Electronics are installed in the announcement booth near the bleachers and include a Biamp Nexia DSP, which provides mixing and DSP services, and Shure wireless microphone systems. 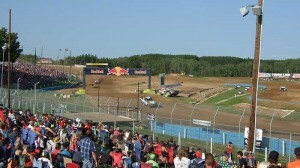 The system has five spectator zones and a press feed for racing network productions. Each zone has its own volume control. Arrow AV Group programmed the DSP with an AGC block to avoid amplifying motor noise when the cars pass by the announce booth. Mullins says the owners are very pleased with their new system. Race announcements are now intelligible even when motor racing noise is at its peak. The system gets lots of compliments from spectators and pit workers who can finally hear the announcements anywhere around the track.